Home Case Government Judiciary Legislative News Ombudsman 2017 Updates: Quick lists of cases from the Office of Ombudsman. 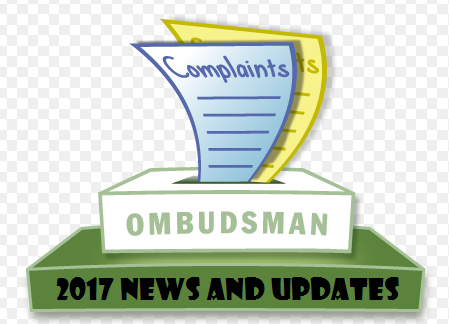 2017 Updates: Quick lists of cases from the Office of Ombudsman. The 2017 Ombudsman case in-hand plus other related case news. Negros Oriental Gov. Roel Degamo faces new raps for P480M calamity fund mess. Violation: 11 counts of violation of Section 3(e) of the Anti-Graft and Corrupt Practices Act for the illegal disbursement of calamity funds used to pay for the province’s infrastructure projects in 2012. Cotabato Mayor Sumulong Sultan for Perjury faces trial for SALN misdeclaration. OFFICIAL STATEMENT OF SPECIAL PROSECUTOR WENDELL E. BARRERAS-SULIT. Former Department of Social Welfare and Development (DSWD) Secretary Esperanza Cabral., Former 2nd district North Cotobato representative Gregorio Ipong charged for P9M PDAF scam. Ombudsman affirms charges vs. Cotabato lawmaker over P10M PDAF scam. For the complete information we encourage you to visit the official website of the Office of the Ombudsman.